Whilst the very fake establishment news channels like the BBC and CNN harp on about the false narrative of Russian collusion in the 2016 election, where Hillary Clinton and the corrupt Democrat party lost epicly, Donald Trump held a speech at a rally in Huntington, West Virginia to enlighten those out there that might be brainwashed by establishment news. 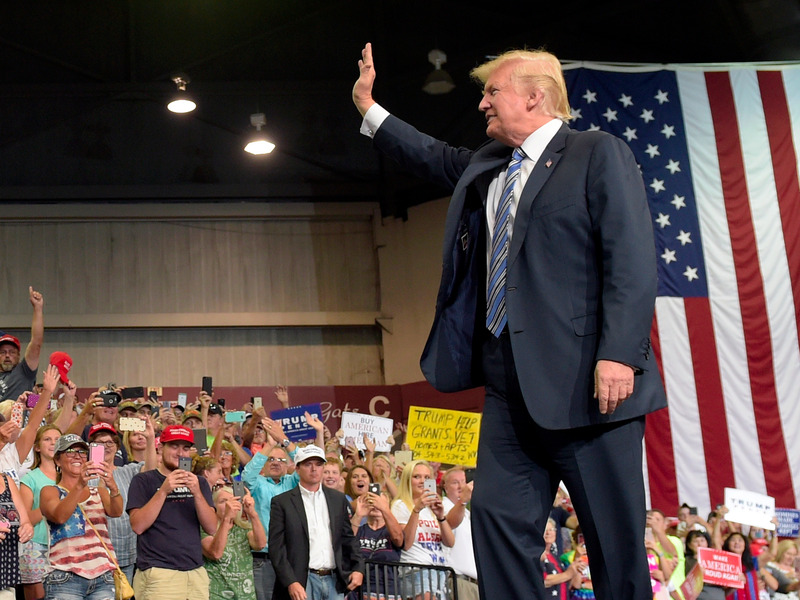 Naturally, none of these brainwashed sheep were in attendance at this rally in West Virginia and the 45th President made things very clear, in no uncertain words, about many issues and topics that are close to his heart and that’s close to the hearts of patriotic American’s across the land. Before we marvel in Donald Trump’s brilliant speech, let’s be clear about how the well-informed mass public of the world and in the United States are well aware of the establishment’s fake news, bias and pathetic news coverage and also for their evil ulterior motives in trying to turn people against Donald J. Trump, and frankly many people are sick of it, as they see through all the establishment’s lies. Here’s just some of the gem statements during President Donald J. Trump’s speech, please enjoy these home truth’s, once again. “In America we don’t worship government, we worship God”. “We believe in god, we believe in family, we believe in country”. “We support the constitution of the United States of America”. “We believe schools should teach students to love our country, to have pride in our history and to respect our great American flag”. “We don’t need advice from the Washington Swamp”. “We will make America wealthy again”. During his speech it also saw West Virginia’s governor, the agriculture and coal mine magnate Jim Justice, announcing his switch from being a Democrat to being a Republican and thus showing his full support for Donald J. Trump, which is a righteous and symbolic slap in the face to the Democrat party, in full view of the public eye of America and the whole world, but you won’t hear about that on the very fake news channels, will you? Jim Justice is registering as a Republican and in his own words “it’s time to run another play”. Hats off to Jim Justice for making a political stance in support of Donald J. Trump, your president, yes you too Democrats, he’s your president, he’s even Barack Obama’s and Hillary Clinton’s president, too. Let’s also remind American’s that over 63 million people supported Donald Trump in the election and even more people support him across the world that continually praise him, from the United Kingdom, Sweden, India, Poland, Russia, Czech Republic, to just about every country in the world. Only socialists, satanists and brainwashed fake news sheep viewers, don’t see all the good that he is doing. That’s why they’ve amassed nicknames such as “delusionals”, “snowflakes”, “marxists”, “communists” and “liberal intolerants”, “satanists” and “delusional democrats”. Plus on an ending note, Donald J. Trump has impeccable karma and there’s no such thing as any Russian collusion in the 2016 U.S.A election, since this is nothing but an establishment fabricated news story to try and cover up for Hillary Clinton’s epic election loss, due to the corrupt presidency of Barack Obama where she reared her dirty hands and failure was a staple of those eight years. Great speech President Donald J. Trump. Keep on Winning, my friend! It’s now time to replace Obamacare! And, please investigate Hillary Clinton’s 33,000 deleted emails, too. Donald J. Trump is a hero of the whole wide world. God loves you!